We have kids parties on the brain at the moment with Sophie's 2nd birthday around the corner and all her friends' birthdays too. 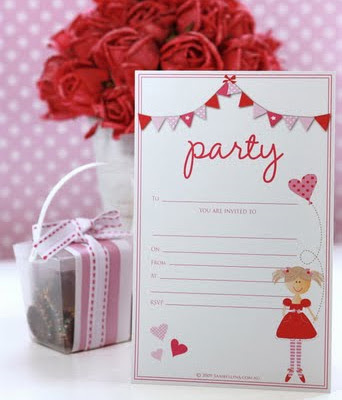 If you're in the same boat, you may like the adorable line of kids party stationery and accessories from Sambellina. The Sambellina range includes invitation packs (including cards, envelopes and magnets), tableware (cups and plates), and gift tags featuring fun characters combined with classic stripes and polka dots. The hardest part is picking a style! You can find Sambellina at stockists across Australia and online including Pink Frosting. And check out Kate's Sambellina blog for some gorgeous party inspiration. Great link - really cute, polka dots always work for me. Great minds think alike, as always Deb!